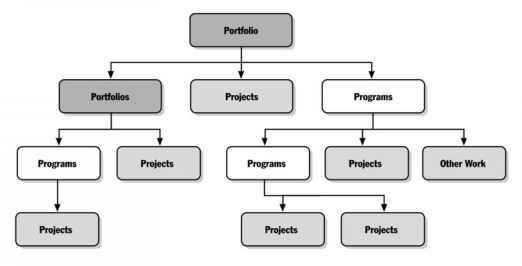 The project charter is developed as a precursor to the commencement of formal activity relating to a project. 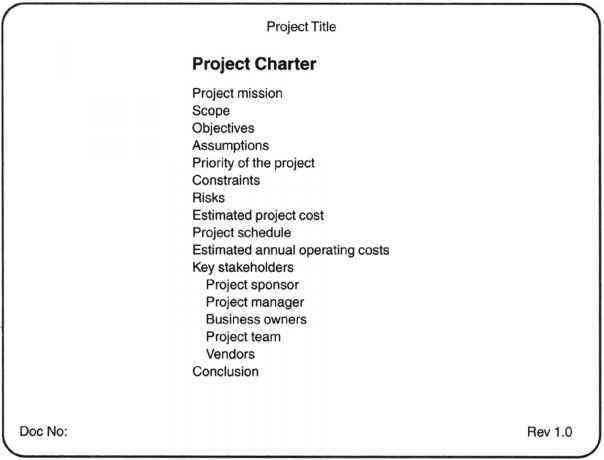 It took me many years to fully understand what the actual purpose of the project charter was. It represented yet another process document—an administrative burden. It seemed to me that I was merely duplicating project information in virtually every single document I was producing. Surely, I only needed a project plan to gain approval for the project. The charter is basically prepared in order to describe, to executive management, the requirements and overview for the proposed project, and it is the primary document used by executive management to approve the necessary resources (work-hours and budget) for the pending project. The bottom line is that even if the project is short in length, develop a charter. It gives some credibility to the upcoming project and also gives the writer of the charter credibility as the chosen project manager. These people are the people who endorse the project. Isn't it amazing how much more smoothly a project flows with an executive on board! Without a project charter, staff throughout the company will never be able to see the importance of the project in the same light as the project manager does, due to the fact that they are uninformed and they are often uncertain as to who is supporting the effort. This project may appear to be just another one that is taking place. However, if the company is aware of the CEO's commitment to the project, the project manager will be amazed at the positive reaction and response received during the entire project process. When the project charter has been completed, the ideal situation is for the project manager to personally deliver the project charter to the executive's office for approval. Once the charter has been delivered, the project manager should make a call three days after the executive gets the project charter, in order to follow-up on progress. That allows one day for the charter to go through the executive's internal mail system and two days for the executive to review the charter. By personally getting involved, the project manager shows a commitment to the project and demonstrates a positive approach to the process (see Figure 1.4).